The cure for your sweet tooth craving, this delightful dessert is made of smooth chocolate cake that takes minutes in the oven or just seconds in the microwave. 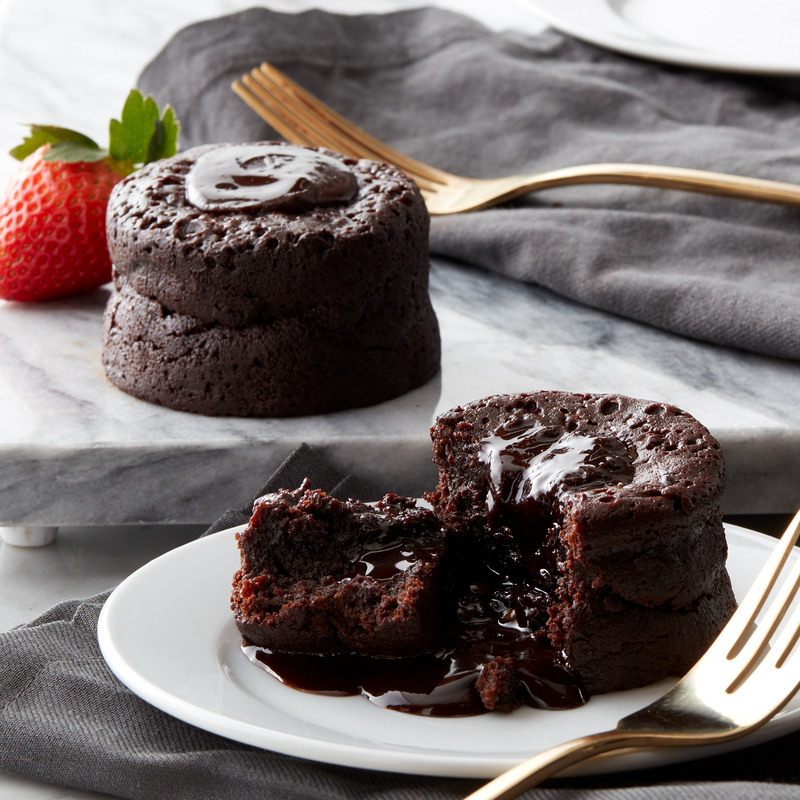 Once warmed, dive in with a fork for an irresistible molten chocolate center. Top with powdered sugar and fresh fruit for the perfect presentation. To ensure your gift arrives in perfect condition, we will ship your frozen item Monday - Thursday for delivery within the same week. Saturday - Monday delivery is not available for these items. Frozen Items can ship to AK & HI 2-Day Delivery or Overnight only. Not available to ship to P.O. Boxes, PR, GU, VI, Canada, or Military. Frozen Items can ship to AK & HI 2-Day Delivery or Overnight only. Cannot ship to correctional facilities.